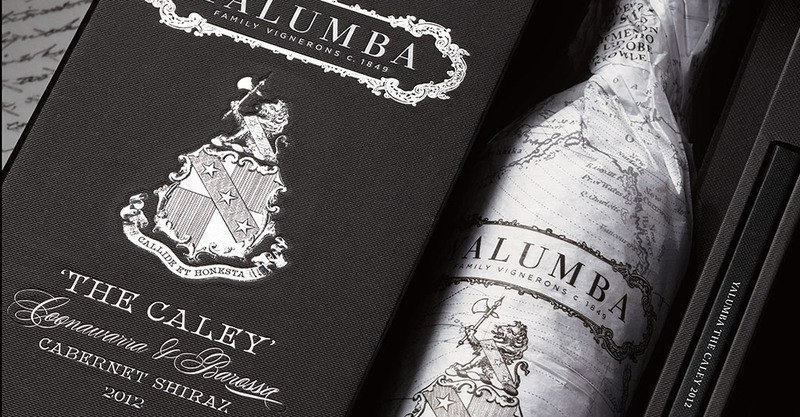 On the 12th May 2017 Australia’s oldest family owned winery, Yalumba, launched a wine that has been 168 years in the making – The Caley Coonawarra and Barossa Cabernet and Shiraz. “The Caley is the pinnacle of a long winemaking journey seeking excellence – a ‘super-claret’ that rightfully honours one of Yalumba’s most adventurous sons,” vigneron Robert Hill-Smith said. “It is the result of an unwavering commitment by Yalumba to Australia’s own unique red wine style – Cabernet and Shiraz – from the Galway Clarets of the 1940s, through the Signature and FDR 1A that started in the 60s and 70s and The Reserve that was created in the 1990s. Sourced from Yalumba’s own Menzies Cabernet Sauvignon estates in Coonawarra and two old vine Shiraz vineyards in Barossa (Yalumba’s Horseshoe vineyard and the Burgemeister Linke Block), The Caley is structured for longevity. “The Caley brings together the linear elegance, firm tannins and persistent acid structure of Coonawarra Cabernet with the voluptuous, textural richness of Barossa Shiraz,” Robert said. “I felt that given our long history in the making of this quirky blend of Cabernet and Shiraz, a Coonawarra-Barossa creation may yet become our ultimate achievement. “Our very Australian-ness is captured in the pragmatism of so many of Australia’s early wines – lyrical creations that were about the wine, not the rules – and The Caley is such a wine. “It is a great example of our rich wine culture of experimentation and a willingness to give it a go.” said Robert. The wine has been named in honour of Fred Caley Smith, grandson of Yalumba’s founder Samuel Smith. Fred was a horticulturist who had a profound impact on the development of Yalumba’s orchards and vineyards. He is best remembered for an 18-month ground-breaking research journey that he undertook in 1893 and 1894 to the USA, UK, Europe, the Middle East, Sri Lanka and India. The 29 year-old’s detailed and poignant letters to his father, sent home every few days were collected and kept in the Yalumba archive. Over subsequent generations they have provided inspiration and encouragement for the winery’s outward looking international handshake. Established in 1849, Yalumba is Australia’s oldest family owned winery, led by 5th generation proprietor, Robert Hill-Smith. A fiercely independent fine wine producer, Yalumba is driven by innovation, sustainability and excellence. The Caley was previewed in Auckland at a small gathering of press at Euro Restaurant on 11th April 2017, where Robert Hill-Smith took guests through a seated tasting of the evolution of The Caley, beginning with a flight of Cabernet Sauvignon, featuring selected clones from the Coonawarra vineyard and the 2006 and 2013 The Menzies Coonawarra Cabernet Sauvignon. The following flight consisted of selected Shiraz clones from the Barossa and the 2013 The Paradox, 2008 and 2012 The Octavius. The last flight was of Cabernet Shiraz wines from the cellar, 1959 Galway Vintage Claret, 1961 Special Reserve Galway Vintage Claret, 1974 The Signature Cristobel’s Blend, 1992 The Reserve and 2013 The Signature. A fascinating tasting ending with the exceptional, The Caley. The Caley’s international release was 12th May 2017 – the 124th anniversary of Fred Caley Smith’s arrival in San Francisco. 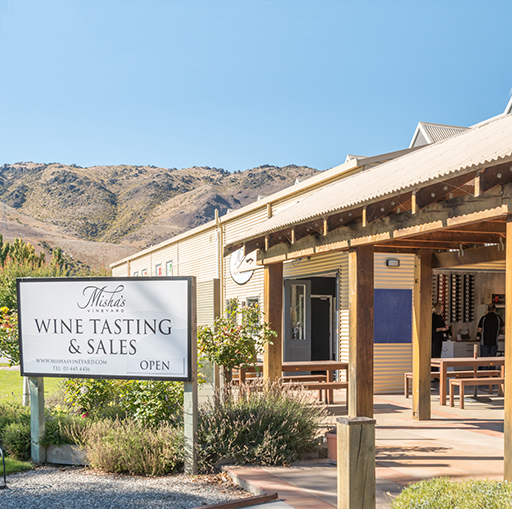 Misha’s Vineyard has opened a Tasting Room in Cromwell – the heart of the Central Otago wine region – which is already proving a busy destination for wine lovers. Andy and Misha talk to their success so far, as well as plans for the future. We were excited to host four of our European principals showcasing their best wines to the NZ market throughout the start of this year. We revisit the best parts of their trip, including some stellar tasting notes from Raymond Chan.